Today, the Bicentennial Half Dollar Coin begs the question did the men participating in the Independence Hall discussions dance the Lord Howe’s Jig? In the country dances published in London for next year, there is one called “Lord Howe’s Jig,” in which there is “cross over, change hands, turn your partner, foot it on both sides,” and other movements admirably depictive of the present war in America. But the London Tories found they would have to “Heel and Toe” to other Yankee dances before America got through her GRAND MILITARY BALL. The staunch American maidens, who did not go to the front, still avowed their patriotism with fearless voice and flashing eyes in the ball room as well as in their own circles. The fair maids of Charleston, after the capture of that place, uniformly refused to associate with the British officers, or to attend any of their entertainments. Being reduced to the necessity of selling their silver and jeweled buckles in order to obtain the needed subsistence; they proudly paraded white and black roses upon their shoes in honor of the French Alliance. 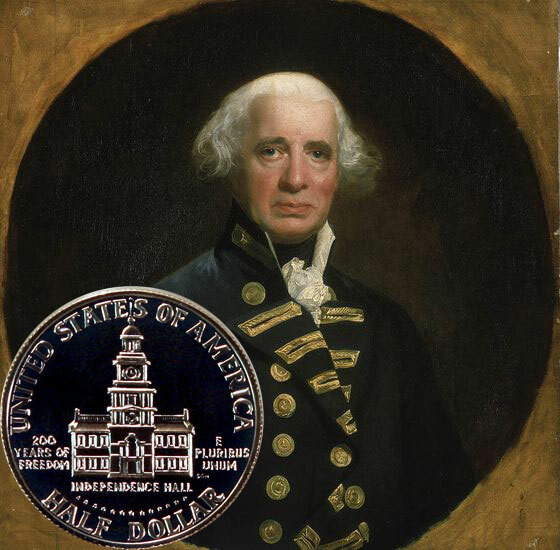 Richard Howe was a notable naval officer during the American Revolution and the French Revolutionary Wars. Having known Benjamin Franklin as a friend of his popular sister in London’s society, Howe was sympathetic to the colonists at the beginning of the Revolution. Howe commanded the British naval forces while his brother, General Sir William Howe, headed the land forces. Both men attempted a peaceful reconciliation between the colonists and Great Britain. Lord Howe and his naval efforts were popular at home in England. As a result, the English composed several dances with his name such as Commodore Howe’s Ramble, Lord Howe’s Fleet, Lord Howe’s Hornpipe, Lord Howe’s Jig, Lord Howe’s Minuet, Success to Lord Howe. B1 1 – 4 All set and change places with partners. B1 5 – 8 All set and change places. B2 1 – 4 1st couple cross, cast and turn to own side. B2 5 – 8 1st corners change, 2nd corners change. Repeat. So, did the Americans dance the Lord Howe’s Jig while fighting him, his brother and all of the red coats? The Bicentennial Half Dollar Coin shows against a painting of Lord Howe.